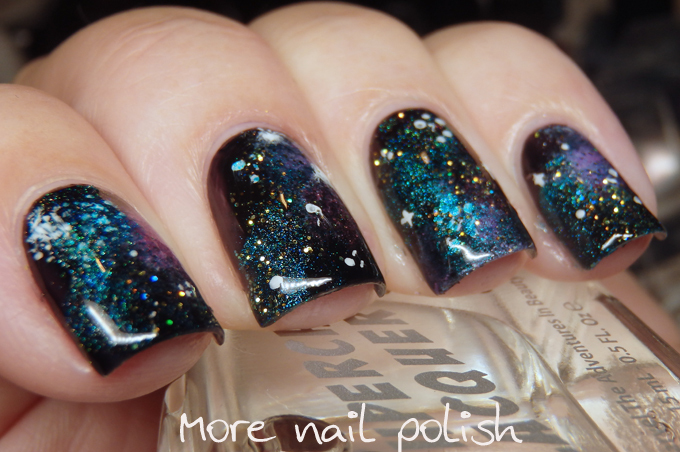 It's time for another Digital Dozen birthday mani, and for January, it's Shelly, from Sassy Shelly birthday. 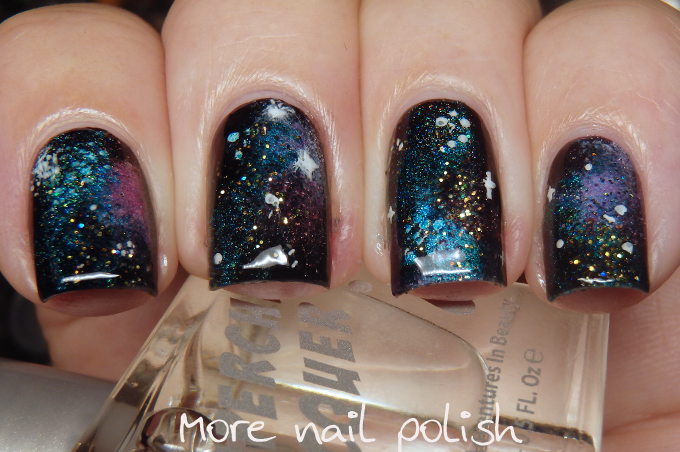 Shelly chose a classic galaxy image for our inspiration, which was such fun to create. 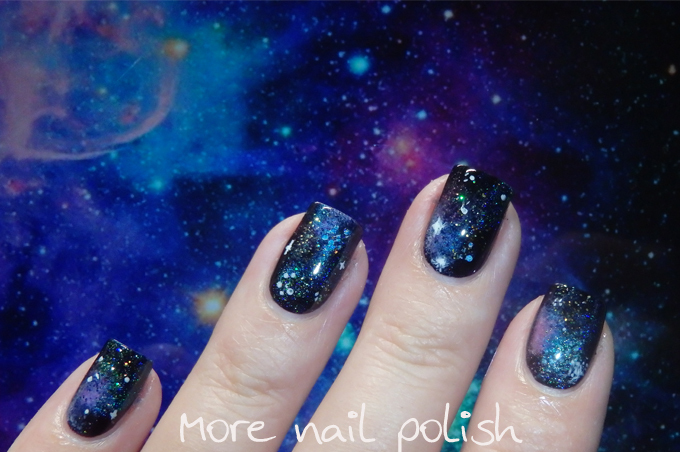 Galaxy manis really are so easy to do and you can't go wrong. 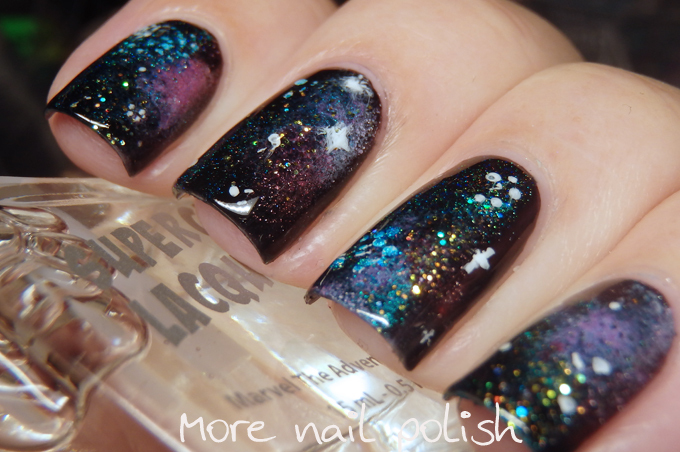 Dark base and then just sponge on the shades you want (in this case it was pinks, blues and purples), add a little glitter and there and then a few white dots and stars. Easy peasy! Happy Birthday Shelly, and thanks for choosing such a great inspiration image. 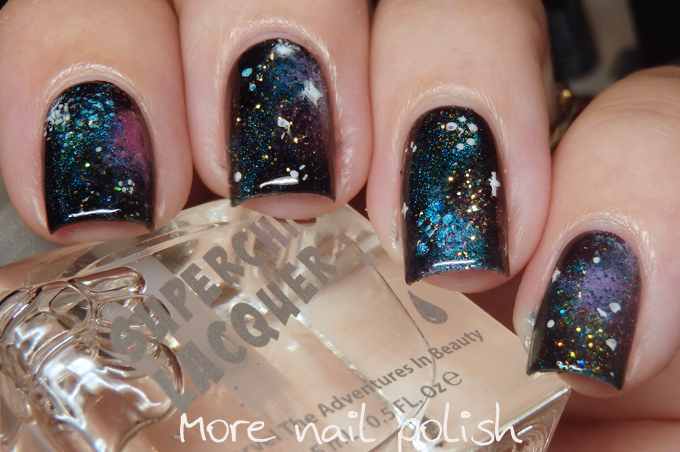 I love all the shimmer to you final look!